First off, anybody looking to build an Amazing,Fun,Overpowered Jodah Deck, you have come to the right place. Thank you for your curiosity and I urge you to share this deck with your friends. I am trying to get this deck listed on EDH Rec and I personally believe that it is one of the best Jodah Deck Builds on the Internet. SO YOU DECIDED TO TAKE THE RED PILL HUH.....EXCELLENT! You officially decided that you want to Train like Goku did with "Whis" and obtain Ultra Instinct in the EDH World....You come to the right place. This deck has been about 5+ years in the making and counting. They say greatness doesn't come overnight and as I heavily pondered this deck I understand why. It takes a certain person with drive, willingness, work, and complex thought to embark upon greatness. THIS IS MY ORIGINAL DECK. I DID NOT GET THIS FROM ANYBODY ELSE. I DID THE RESEARCH MYSELF AND WENT THROUGH MANY CARDS, COUNTLESS HOURS OF THOUGHT TO COME UP WITH THIS BREW. Explanation: Jodah was created with the thought to be able to adapter and respond to just about every type of gameplay. It can win at any point of the game. It has powerful offense, powerful defensive strategies, powerful ramp strategies, multiple ways to say No to you opponents with some of the most powerful Counter-Spell magic in the game. Jodah has the ability to "One Shot Kill," "Two Shot Kill," and potentially "One Shot" the whole table with the right cards out. 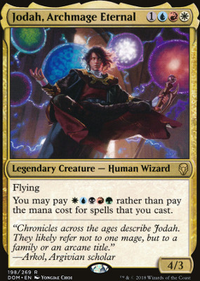 Jodah focuses it efforts also around the ability of cheating things into play but also is resilient to the fact that with certain hands you don't even have to play Jodah to get ahead and overwhelm your opponents. Jodah encompasses all different styles of gameplay. My endeavor was to make a deck that I would be satisfied with playing over and over again without getting tired of it. The deck also functions around allowing a player to run multiple game-playing strategies based upon the fact that magic is a game that is played based upon the cards you are dealt with in your first hand. Note: In this deck overtime I eventually chose not to play with Tutors as I have had Demonic Tutor, Vampiric, and Imperial Seal running in this deck at a point in time together. When playing these cards I felt like it took away the anticipation and enjoyment factor of the game in the game for more consistency. If this deck where going to function more competitively that it already does, then you may want to consider running tutors to get to the pieces to win quickly if you wish to build this deck. However, my preference is to allow the deck to be great by itself and the ability to select the right combination of lands, creatures, spells, etc (I wanted to make this deck a well oiled machine). This deck is the true definition of POWER and I feel like Thanos at times (Whether playing Pod or Head Up) because I am chasing the Infinity Gauntlet (The Win) in EDH while everyone tries to stop me. Warning: The way this deck is designed, my playgroup is very scared of it that they do try to kill you first, however, with the tools in the deck, you have the ability to stop that with things like Collective Restraint, Arena Rector and Academy Rector on your side (These cards mentioned are on just few of the ways to deal with certain types of aggro-like decks). There are also other creatures that you can get out that will make them think twice about attacking you for the early win. The deck is considered "Ultra Instinct Omen" because it operates also in the Early Game with Top Tier Artifacts that allow you to play a lot of your commander or creatures in your hand at the time to help one get to the Win Quicker. However, in another aspect, it can function Mid-Game very well with your commander because by Turn 5 you can cast just about anything from your hand for 5 with Jodah. This deck is not for the faint-hearted, but for the person who wants to have fun, be stylish, have power, but also fool those around them in regards to its hidden strategies. Most people will look at this deck and laugh as say he is playing "Good Stuff." Those are the people that are still in the Matrix and did not want to "Red Pill." They took the Blue Pill and chose to play a deck with a One Dimensional Deck Strategy. For all my "Red Pill" decision makers who believe that anything is possible and want to defy the mindset of the many Magic Players around them that are going tell them you need to stick to "One Theme" and want to play in a Powerful way...this is the deck for you. Those "One Themed" players are the one's that trade in their EDH deck consistently and continuously lose value because they get bored with THEIR One Dimensional play-style. They caused their own demise by trying to keep things "Simple" and not think about how things are possible outside of the box. You don't have to. This EDH deck is more than what meets the eye. Jodah has a perfect mana base. It runs all Duals, All Fetches, All Shocks, 5 Basics. While there was many cards that I would love to play in this deck, the reality and challenge of EDH is limiting yourself to 100 cards which I have had to do. 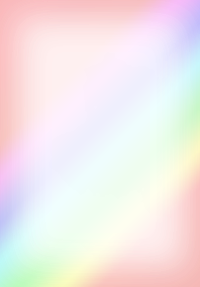 There are cards and ideas that have come and gone and other cards that have made multiple appearances in the deck while this refining process has happened and still continues. NOTE: Many people around my told me that a deck like this...."A Jack of All Trades" could not be made without having to sacrifice other things, and while this is true, this deck put that ideology to the test. When making this deck I told myself why should I be put into a Box, why should I be stuck in Commander Matrix. In the Commander World I want to be like Neo was in the Matrix, I want to break the status quo, I wanted this deck to be the epitome of what Neo was in the Matrix....To shatter the idea of what people seem to think is impossible and to make it look easy, fun, unpredictable but potent, and a pinnacle in the realm of what Power and Greatness are. This Jodah deck essentially gives the person the power to live the dream that nobody thought was possible in a Masterful Way........THIS IS "Ultra Instinct OMEN JODAH"
Seedborn Chainer Combo Seedborn Muse + Thrans Temporal Gateway...Play Legendaries on Opponents Turns! More To Come....Essentially There Are Some Many Lines Of Play From This Deck.